With the increasing concerns of environmental pollution, Florida State has been encouraging shuttle bus rides for the locals and the visitors to the region as well. Whether you are shuttling from the airport to the hotel or opting for a sightseeing tour, it would be beneficial and cost effective to opt for one of our charter bus rental Plant City services. Call now for our discounted rates 813-514-6980. Not only will you be saving money, but also reducing the number of vehicles on the road and reducing air pollution at the same time, by using our charter buses. 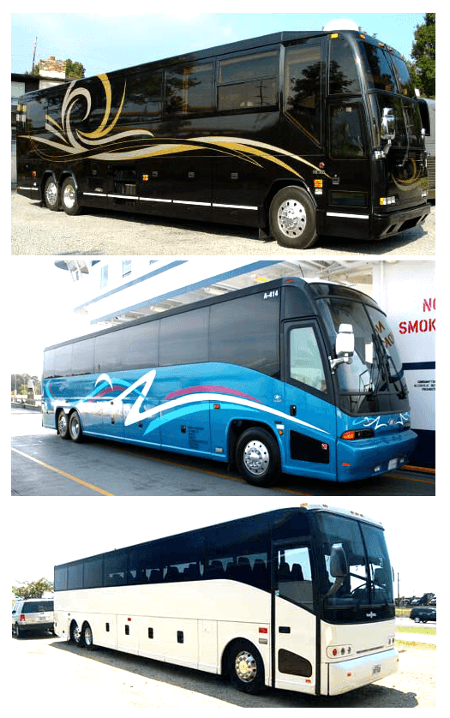 The shuttle buses that we provide through our charter bus rental service will work for most people. There are various vehicle models to choose from, our 20 passenger mini bus or 30 passenger shuttle bus models that have varying seating capacity and amenities. Whether you are looking to transport guests to a wedding occasion or wish to get a group of children to a museum, the buses we provide would be suitable for any occasion. The charter bus portal that we have allowed you to view 40 passenger charter bus models as well as several other shuttle rides and coaches, as a result, you will be able to make a booking by viewing the coaches on our site. Once you have chosen a coach, proceed to enter the booking time and date and then proceed to make the payment. Once the payment is made, the booking is finalized and you can be sure that our bus service will ensure that the vehicle will land up at your address at the appointed time and date. Book a charter bus rental now 813-514-6980. Party buses in Plant City are another solution you might consider for group transport. Edward Medard Regional Park; it is a cool park area that many people like to visit. Keel and Curley Winery; there are package deals in this local vineyard which you will love. Jump Florida; it is an entertainment extravaganza that is put up for the visitors. Plant City Train Viewing Platform; this is a wonderful place to check out the views around. Railroad Museum; vintage rails can be seen in this place. If you are looking to get airport transportation, look no further than the charter bus service we offer. There are several coaches that travel regularly between the Tampa International airport and different city destinations. In addition to these services, we have traditional limos for hire in Plant City. You might be traveling in a group to any of the cities or localities in and around Plant City like Mango, Tampa, Winston, Lakeland, Zephyrhills, Lake Magdalene, Bartow, Bloomingdale, Lutz, Brandon. For these travel requirements pick any of the 50 passenger charter bus models we have to travel in comfort.